How sweet is this embellished shirt? 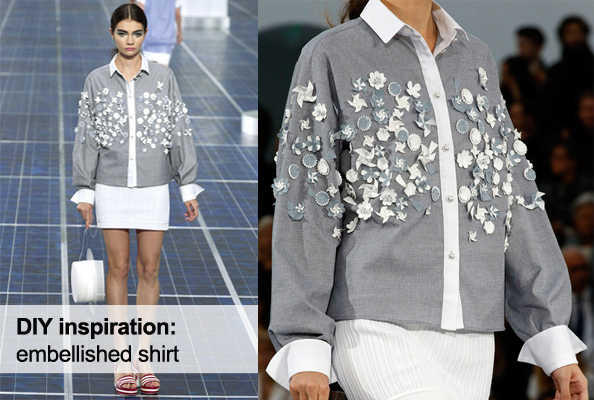 I was reviewing Spring Summer 2013 collections presented by my favorite fashion houses and this Chanel look caught my attention immediately. Such great DIY inspiration! 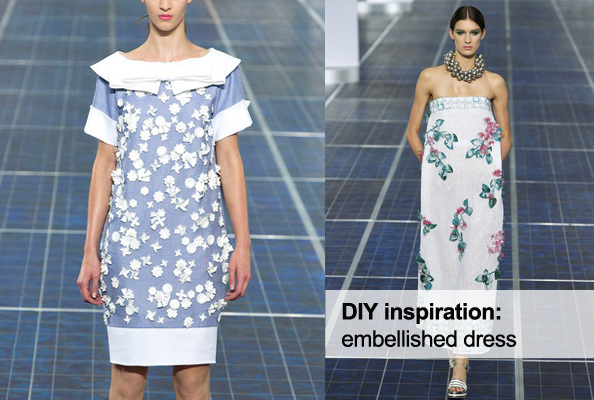 This type of DIY is a great way to transform an old shirt, sundress or even a skirt into a haute couture piece. Embellishments similar to these can be purchased in any craft shop. Simply sew them on your garment of choice and your new hot fashion piece is ready! the neckline is to die for, and dont get me started on the perfect chanel blue color!